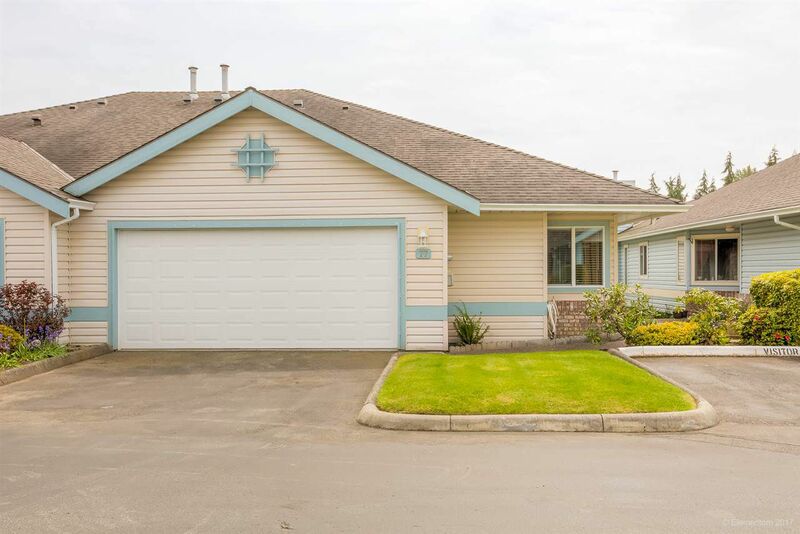 This one level townhouse is located at the very popular "RIVERWYNDE' - a gated, 55 plus community conveniently located in Langley City. A short walk to shopping and transit, this two bdrm end unit comes with tons of visitor parking out front plus double garage. Spacious kitchen with large eating area and pantry. Enjoy the open concept of your dining and living room which features a cozy gas fireplace and slider to your covered patio and private backyard. Tons of natural light through your newer double glazed windows. Bdrms are on opposite sides of the unit plus two full baths. Full laundry room plus TONS of storage including crawl space! This is a lovely and problem free complex with owners pride showing throughout! Easy to show! STILL AVAILABLE!